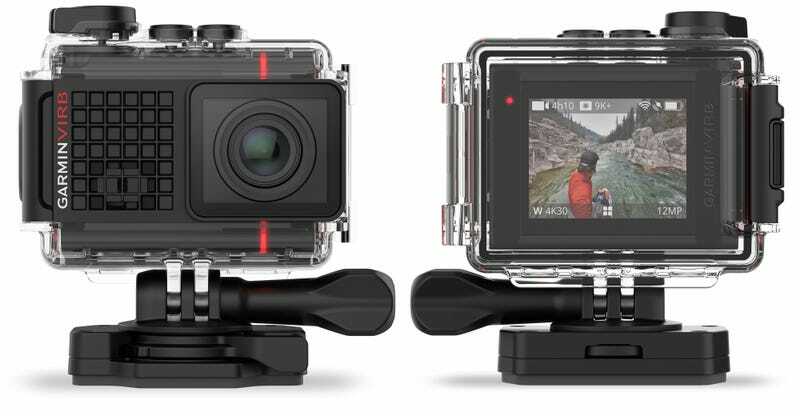 With the release of the VIRB X and XE action cams last year, Garmin finally gave consumers a reason to choose its action cam over a GoPro. But while it had built-in sensors letting users measure just how extreme their stunts were, it topped out at a disappointing 1080p. The new VIRB Ultra 30, however, boosts that recordable resolution to 4K, and it introduces voice controls. Instead of having to fumble with tiny buttons while you’re sweaty, dirty, or wearing gloves, the VIRB Ultra 30 lets users start and stop video recording, take photos, or mark important events, using their voice. It allows you to easily operate the camera while it’s carefully mounted somewhere, but like using Siri or other voice-activated assistants on your smartphone, you have to start every command with an awkward “OK Garmin” to get it to listen—which will, of course, end up in all your videos. The increase in resolution to capturing 4K videos at 30 frames per second puts the VIRB Ultra 30 on par with GoPro’s best cameras, so it’s going to be the action cam’s other features that Garmin hopes will sway consumers. Using built-in sensors that include a barometer, an accelerometer, a compass, a gyroscope, and GPS, the VIRB Ultra 30 can overlay recorded video with performance data including speed, pace, altitude, G-forces, hang time, jump height, distance, grade, elevation, pitch, roll, course, bearing, and GPS coordinates, to name a few. If the extreme video you just shot doesn’t impress your friends, this G-Metrix data will provide empirical evidence as to how awesome you really are. Available now for $500, the same price as the GoPro Hero 4 Black, the VIRB Ultra 30 also features built-in Wi-fi and Bluetooth for connecting to a free app on iOS and Android devices, facilitating live streaming and remote operation. 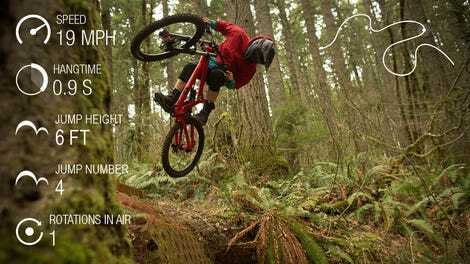 The VIRB Ultra 30 can also wirelessly connect to other external sensors, if, for example, you want your heart rate to be included in the on-screen data overlay. It boasts a color touchscreen which makes navigating endless settings a little easier, and Garmin even throws in a waterproof housing to keep the camera completely dry to a depth of over 130 feet. If you’re less concerned about dropping the GoPro brand name to your friends, Garmin’s made a strong case to spend half a grand with them instead.